This black box is nearly impossible to put together. Ninety-nine percent of those who try will fail. But for the always-elite 1%, once your corners are aligned and screws affixed, the world will be your oyster. Flip the box's switch On to take Earth over. Then watch your mischievous righthand finger sneak out and flip it back Off to activate a galactic nuclear apocalypse. Haha, sike. Don't get too excited about a Dr. Claw transformation yet. The finished black box doesn't hold great power. But it does hold the next best thing: uselessness. The DIY kit also likely promises to be extraordinarily difficult to assemble. Look at all those sides and small parts. I need a deep tissue massage from a Victoria's Secret model just looking at them. And now I just read fabrication also requires a soldering iron! It's going to take hours, maybe days to manifest this feat of geometric insignificance. Sounds like the perfect birthday present for a kid who behaves like a big turd, or a graduate who barely eked by with Ds. 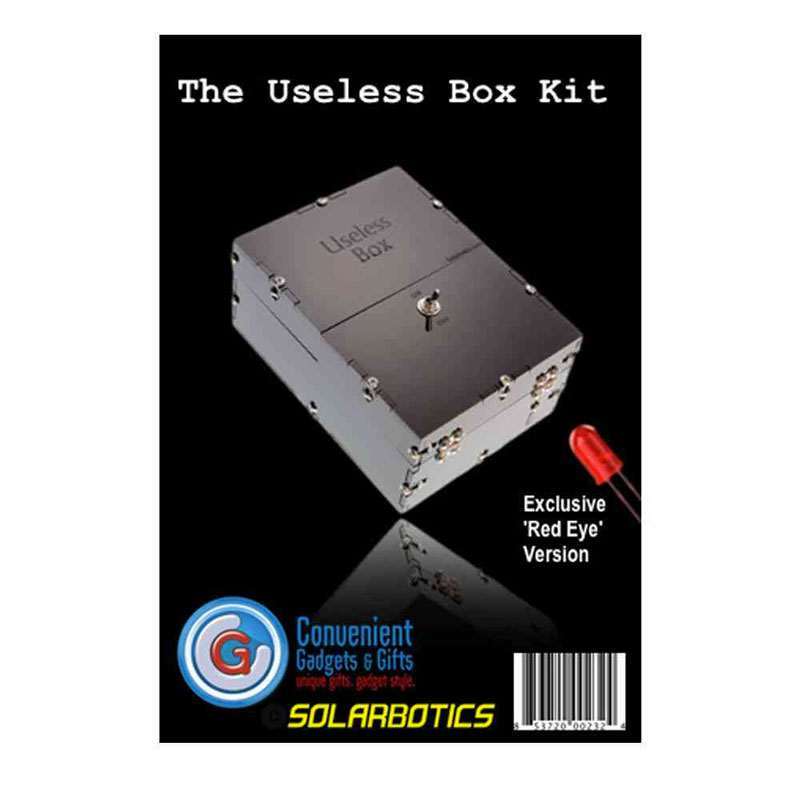 The Black Useless Box Kit includes an attachable red LED so the end result will glow from the inside. The fun continues when the On switch is flipped: a little finger pops out and turns it back off. Muahahaha. 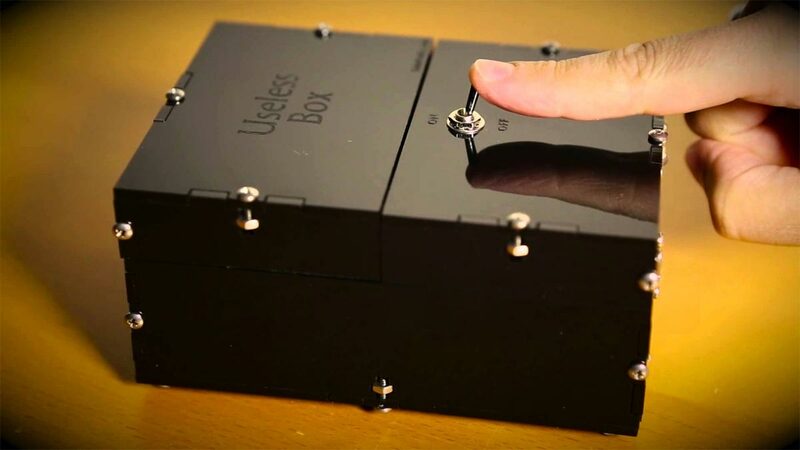 If you can't spend hours dicking around with the kind of box you'd really like, may as well hit up the Black Useless variety and delight in its mind-numbing fun as solace. 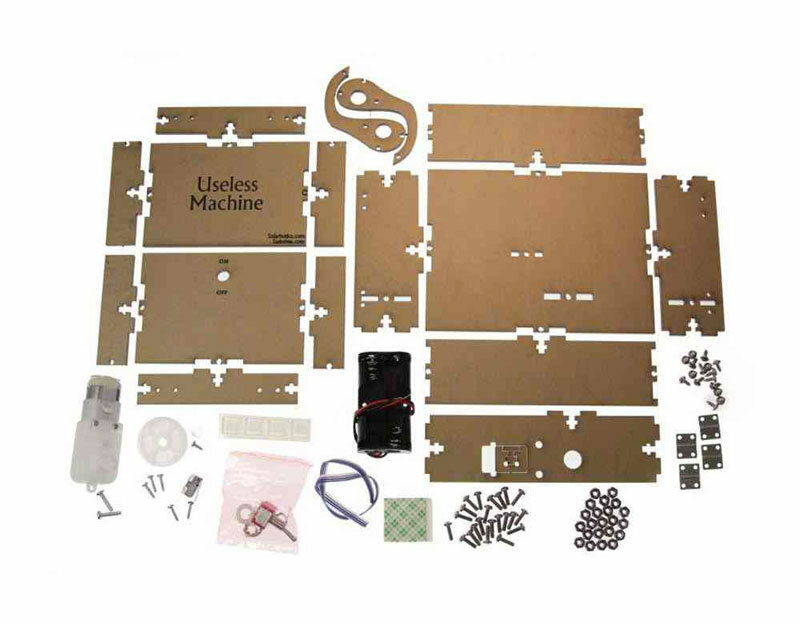 The Black Useless Box Kit is a Dude Gift for Geeks and Gift for Teens pick.